Wanted to share with everyone a quick update on our friend Dom as well as my recovery from a lower leg strain that has made training stop and go over the past couple of weeks. First and most importantly our here Dom is back home from the hospital! Way to go Dom! As many of you who have been following along, our good friend Dom is recovering from his surgery in November as part of his treatment for peritoneal carcinomatosis with gastric origin. After three rounds of chemotherapy treatment beginning this fall – Dom’s underwent an extensive surgical procedure that involved removing more than 90% of his stomach, his spleen and a bit of his pancreas. Getting his body back to “normal” has been a process that has at times I know been very frustrating for Dom. He is still having challenges when it comes to eating and drinking enough to get the nutrition his body needs. So, he remains on IV fluids for much of his nutrition and hydration – recovery is a slow process, but getting Dom back home and around his wife Val, daughter Sierra and son Nico on a full-time basis is great medicine. I am so happy for Dom and his family and very proud of his fight. Coincidentally at the same time Dom has been frustrated by his slower than hoped for recovery from surgery, I have been struggling with this lower calf strain that appears to be taking up residence in the form of shin-splints/bone bruise on my lower right leg. Such a frustrating position to be in with Boston looming only 19 weeks from today. All other pistons are firing as my last training run had me comfortably turning in five consecutive miles between 6:35 and 6:50 pace. Conditioning for now will need to be curtailed to a stationary bike and no impact cardiovascular workouts until I am able to visit with Dr. Fernandez once again in Austin later this week. My story is not unlike many distance runners frustrated by injury effecting their training programs. 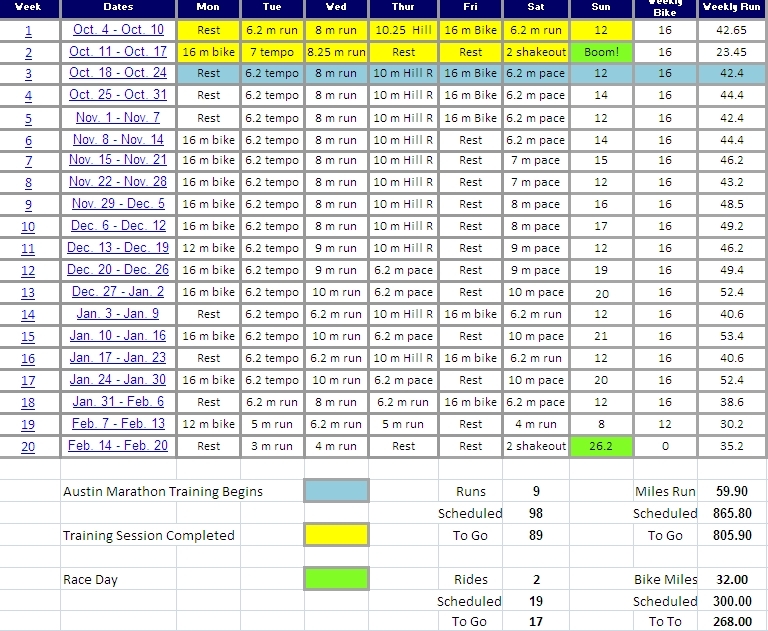 The good news is we have a lot of time remaining before running back to back days and 50 mile weeks are required to build the strength and stamina to take on the hills of Boston and the Pittsburgh Marathon two weeks later. Looks like it is time for me to take my own advice and realize that this is just part of the journey for Dom and I. Victory will be that much sweeter when Dom and I can take down our post-race breakfast at the Dor Stop in Dormont, PA on May 2nd. They better be ready with their award-winning stuffed french toast …. I’m bringing a crowd.